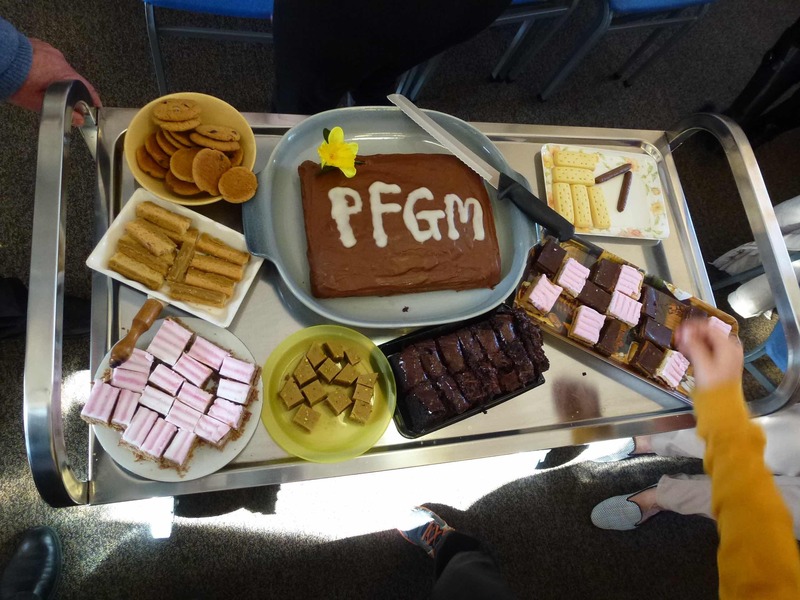 Recently the parish of Our Lady Star of the Sea Sumner (now Stella Maris Ferrymead) celebrated 22 years involvement in Passionist Family Groups. The first parish coordinators in 1993 were Joan and the late John Collins. 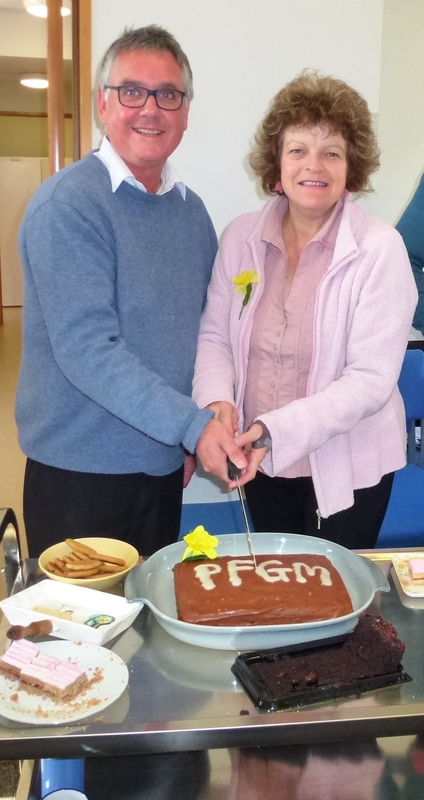 Following Mass there was a shared morning tea and Julia and Bill Pringle parish coordinators cut the yummy cake that Julia had made. 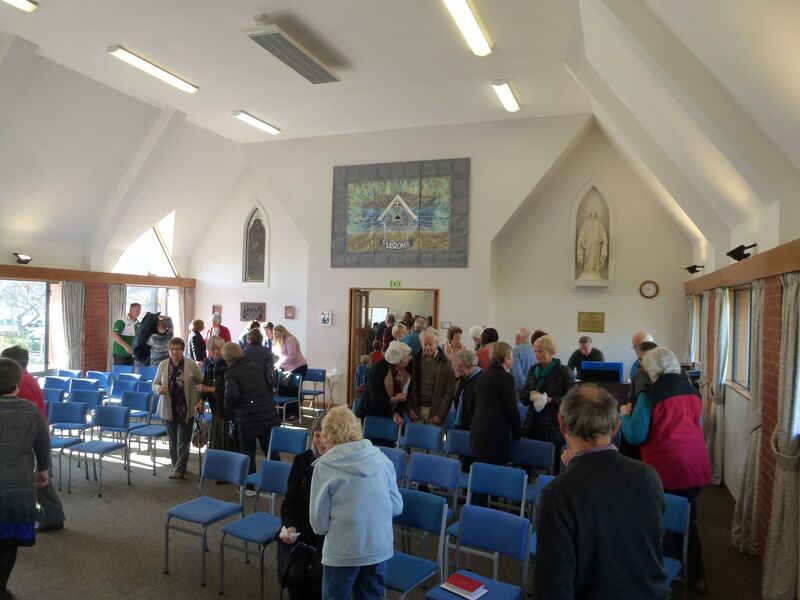 During the Mass Father Dan Doyle, spoke of the value of the Passionist Family Groups and how they had supported people in the parish community during the upheaval of the earthquakes. Members had looked after one another and supported each other and their families. At the end of Mass Murray Straight spoke about the early days of PFG’S in Sumner. 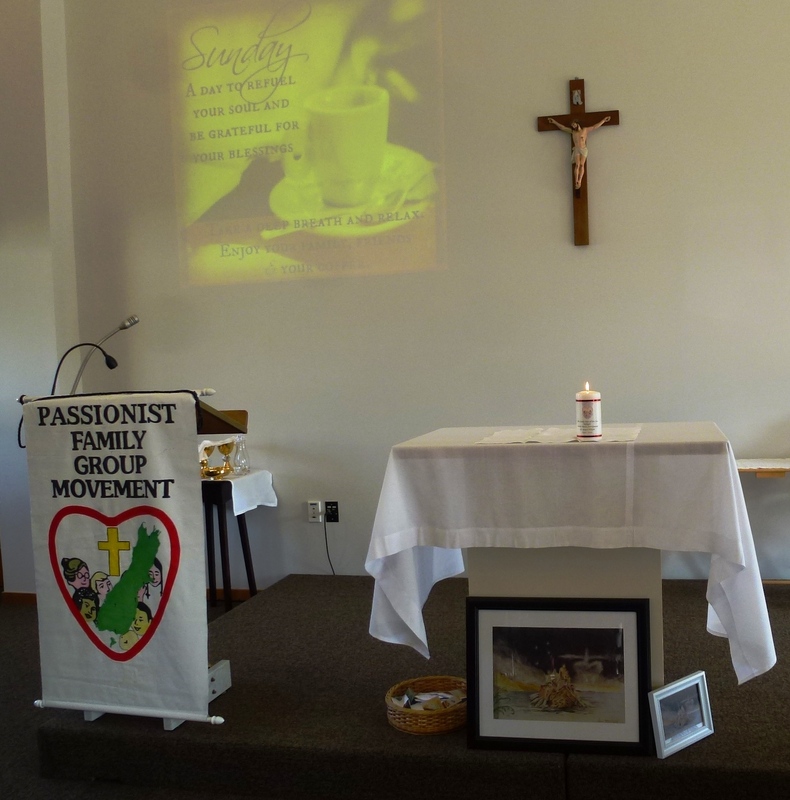 Bob Arthurs Regional Coordinator spoke of the significance of the Icon and the journey of Passionist Family Groups to New Zealand.